This interview with Tofupay was conducted and condensed by Hannah Leung of EntrepreneurHK (EHK). EHK gets a whiff of Tofupay’s plans to make online payments easy. 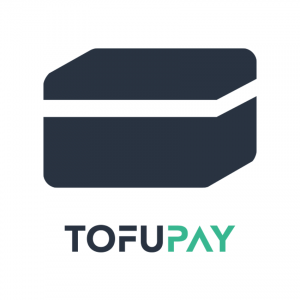 Tofupay is one of the 11 teams chosen to join the blueprint accelerator program. This international team of five will be working on their not-so-stinky idea, Tofupay, an alternative service to make online payments and transactions easier and more economical. Over the next six months, they’ll be developing their product, tweaking their market and distribution strategies, and working with a network of mentors, investors and partners. The premise is simple: Tofupay is meant for anyone who’s had gripes with popular payment services that exist, whether it’s poor customer service, confusing fine print, or other complicated disputes. With Tofupay, online merchants can set up payments for free and track each transaction. We’ll keep track of the progress and developments the team makes throughout the program. Here’s a slice of what’s to come. How will you differentiate yourself between Paypal and local companies like AsiaPay? People want solutions that are more cost effective, easier to integrate and has richer features. Current methods are more traditional. Our approach is an API-driven solution that is easier to implement and more cost effective. TofuPay will offer a service to relieve common issues in the online transaction process: customer service, ease when setting up merchant accounts; handling of recurring payments and an affordable, transparent fee structure. We are targeting Southeast Asia, and we will make transactions easier by offering easy multi-currency management. Let’s say you’re a Hong Kong business acquiring currencies in Hong Kong dollars. If you’re transacting with companies in Singapore or Malaysia, you’re forced to change currencies. But we are giving you the ability to keep the current currency, without doing any conversions. The five of us met at HK Startup Weekend in October 2014. We got very lucky, because of the balance of our skills —experts in cloud, finance, technology and design. We’re also lucky, because we all get along, so far! Our team is diverse in backgrounds, languages and nationality. What do you hope to get out of the accelerator program? Our focus in the next six months is to launch the product and secure funds! Keep track of Tofupay’s progress on Twitter.